Simple renovations couldn’t meet the growing needs of the community based on the demand for enrollment. During the 2010-11 school year (when the cornerstone was laid for the new building), there were 454 students in kindergarten through 12th grade and 38 teachers and support staff. Each year families are placed on the wait list for enrollment. 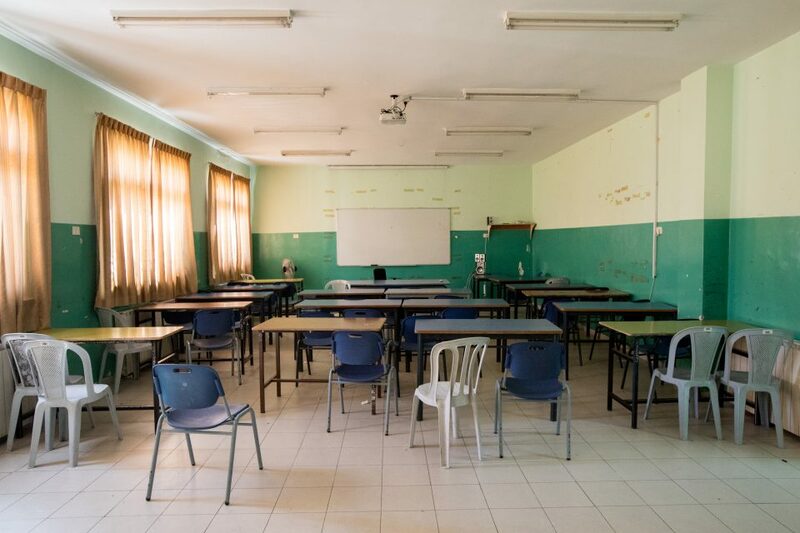 Tala, an 11th-grade female student at Hope Ramallah, says she will miss the cozy atmosphere of the old building and the many memories she has made with friends there. 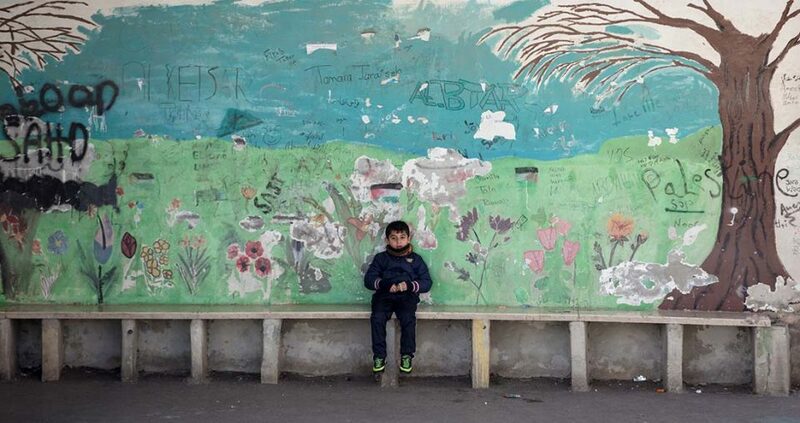 Since 1967 the long-term effects of Israeli occupation on the West Bank (where the school is situated) in the form of the separation wall and poor public infrastructure has resulted in overcrowded neighborhoods and dangerously congested streets. Outside the old school’s front door, children squeezed by each other on a narrow sidewalk made for a single passer-by as traffic, not meant for a residential street, whizzed by and drivers wove in and out of idling cars. But the administrative vision for the old building is not to leave it behind only to house memories. 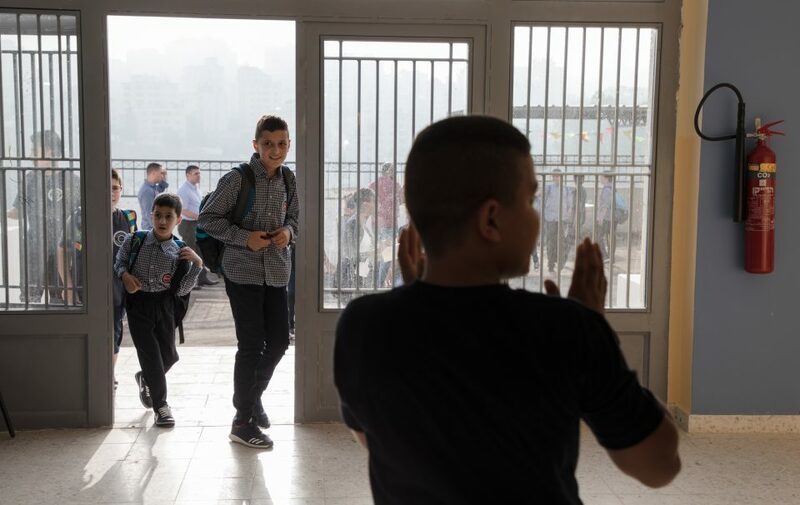 Options will be explored for redevelopment as income-generating use for the Evangelical Lutheran Church in Jordan and the Holy Land and its network of schools. The new school is 1.5 miles away from the church by the same name and its old location. Built on land owned by the ELCJHL in an industrial district, the school seems to rise from the dusty road it shares with a chicken feed factory and the Volvo facility. From the school one can look out over the ridge to the congestion of a growing Ramallah City. Nevertheless, on this side of town there is room for parents to pick up their children without the danger of speeding traffic because the school has parking lots and designated drop-off and pickup areas. There is also room for several outdoor courtyards for secure play away from the sounds of busy streets, a basketball court, and a pool for the students and community. As part of another project supported by the Kuwaiti Arab Development Fund (KADF), a swimming pool, toilets, showers and an observation room were completed in 2015. This project was also designed in three phases, with phase two to include saunas and a cafeteria. The third phase will include a full gymnasium and other sports-related rooms. Evangelical Lutheran Schools (ELS), a network to which Hope belongs, was granted around $500,000 by KADF for phase two construction that began this past summer. When Hope was finally approved to accept students for the 2017-18 school year, ELS faced another pressing dilemma—the newly built school sat empty two weeks before the first day of classes. There were no chairs to sit on, no desks to place a writing tablet, no place to store teacher supplies—and no funding to acquire these necessary items. To fully furnish the classrooms and offices cost $90,000, not including information technology and other electronic equipment and machines. Charlie Haddad, ELS director of education, wouldn’t allow students to arrive to an empty building, but he knew that meant one of two things: they needed to start fundraising to furnish the school or staff would have to move old, broken furniture from the old building to the new facility. Opportunity Palestine, a nonprofit organization based in Detroit that has partnered with ELS to raise scholarships in the past, launched an aggressive campaign to raise funds for furniture before the opening. Other contributors to the furniture fund included the Evangelical Lutheran Church in Canada and other individual donors. Under the time crunch, a West Bank furniture supplier delivered most, but not all, of the furniture on good faith in early August, a mere 12 days before the start of school. Now, with an outstanding bill, donations toward the furniture remain critical. Read the next installment of the series here at livinglutheran.org on Thursday, October 19.